10 years, 10 games, tons of wonderful memories. The Shanghai studio of Spicy Horse Games is closing its doors. The company itself will remain intact, and we’ll continue to operate existing games online. At our peak, during development of Alice: Madness Returns, the studio contained 85+ people. These days we’re down to just 6, and it feels like a good time for a radical shift. I’m going to turn my focus to indie development and will continue to publish small titles under the Spicy Horse brand. Much of this work will be done in a challenging new environment – aboard my sailboat, bobbing around the S.E. Asia region. This is also where I’ll bring to life Pirate Jam – the game jam on a flotilla of sailboats. I plan to document this new adventure online and in video. If you want to support these new creations, check out my Patreon page. The past 12 years in China have been incredible. I owe so much to the people who helped build Spicy Horse into a happy place to explore and create. To the hundreds of developers who called Spicy Horse home over the years, Thank You. And to the fans and supporters who enjoyed our efforts, Thank You. Comment on this announcement on my Facebook page. Spicy Horse Games is proud to present The Gate for iOS, now available globally. 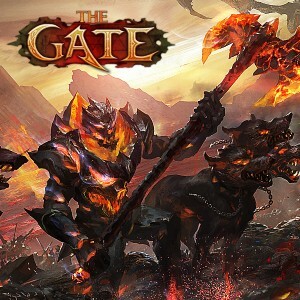 The Gate uniquely combines Real Time Strategy (RTS) and Card Collecting Game (CCG) mechanics. Battles are rendered in hand animated 3D while collectable cards are presented as beautifully illustrated artistic masterpieces. Solo battles provide a chance to strengthen your army, while Raids, Arena Battles, and World Bosses get your friends in on fight. Grab it NOW for FREE on the iTunes store! The latest game from Spicy Horse is now available on Facebook – and coming soon to iOS and Android worldwide. “The Gate” combines the action and strategy of an RTS with the collection mechanics and battles of a CCG. Not sure what all that means? Don’t worry… it’s simple and fun: you collect, train and fight demons in Hell. What could be more awesome?! 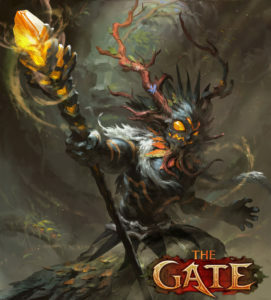 Unlike other games in the CCG universe, “The Gate” presents all the monsters and battles in glorious, hand-animated 3D. The same team who brought you “Alice: Madness Returns” and “Akaneiro: Demon Hunters” has once again poured their souls (literally this time) into producing some truly stunning art, animation and sound. 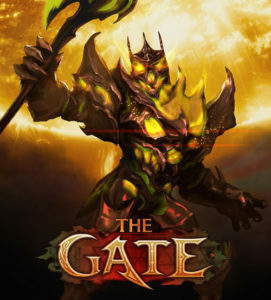 “The Gate” has been in development at Spicy Horse Games since the start of 2013 – and is set to launch worldwide before end of year. Available on iOS, Android, and Facebook, the game is beautifully rendered with hand-animated 3D characters. Sign up at the pre-registration site today to learn more, watch the trailer, and get the latest news about THE GATE! Continuing with a series of interviews geared towards support of our ongoing OZombie Kickstarter campaign, I’ve asked musician Chris Vrenna a couple of questions. Chris and I met back in the day, while I was at id Software and he was banging drums for Nine Inch Nails. He was instrumental (pun intended) in establishing the tone for the first “Alice” game and I’ve been a fan of his work (Tweaker and other projects) for years. To the interview! AJM: Let’s start off by getting out of the way some of the basics… Who you are and what you’ve been up to since you made the soundtrack for the first “Alice” game over 10 years ago? 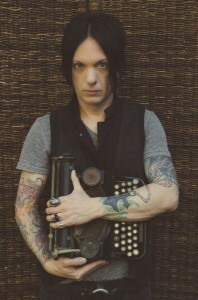 CV: I am Chris Vrenna. I scored your first “American McGee’s Alice” game over 10 years ago. I can’t believe how long it’s been! I have had a pretty amazing post-Alice decade. I released three records by my side project, tweaker. tweaker is primarily a studio collaborative project where I have been fortunate enough to work with many of my personal idols. Robert Smith, David Sylvian, Will Oldham, and Johnny Marr to name a few. I also spent an amazing year or so drumming for Gnarls Barkley. Their single “Crazy” was a massive #1 hit in almost every country in the world. I was honored to play with, and become friends with CeeLo and Dangermouse. And I spent 7 years working with Marilyn Manson. I co-produced and co-wrote the last two records and toured the world as either drummer or keyboard player numerous times. In my “free time” I take on remixing, programming, and/or mixing projects. AJM: You’re attached to the OZombie Kickstarter campaign as a “Stretch Goal.” Have you ever been a goal of any sort or particularly stretchy? How does it feel to be a Stretch Goal on a KS campaign? AJM: It’s a little early for final thoughts on many things related to the project, but have you had any early thoughts on directions you might take with the music for OZombie? We promise not to hold you too severely to any ideas you might express here. CV: Wow! It is definitely a little early to talk specifics. But, I am SO inspired by all the early concept art I’ve seen. Like with all your games, the design is so vivid it instantly gets my brain spinning with ideas for both sound palettes and melodies. AJM: You had a chance to visit Spicy Horse Games in Shanghai back in 2009 (is that right?). Can you share some of the impressions you took away about Shanghai? CV: I believe it was 2009. It was my first, and still to this day, my only visit to China. I found Shanghai so fascinating and was surprised by how varied the city is culturally and architecturally. 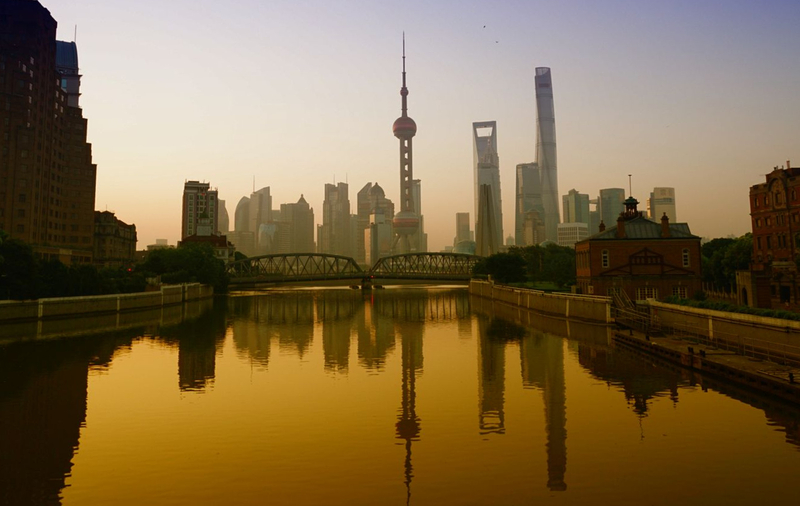 The ancient city, the European riverfront, and the incredibly futuristic business district just show the long history of Shanghai. AJM: What do you do when you’re not creating music? Any hobbies or past-times you’d like to share? Any links between those hobbies and the inspiration you find to make music? CV: My passion is art. I buy and collect as much art as I can. There is such a connection when a piece of art (whether painting, sculpture, photography, etc) grabs you and draws you to it. It becomes so personal and that’s when you know you just have to buy it so you can feel that connection forever. AJM: Lastly, do you have a favorite character from the Oz books or films? If so, why? CV: I have a few favorites. First has to be the flying monkeys. They were the most terrifying creatures as a child. And, at 46 years old, I STILL find them scary. And I have always had a soft spot for the Cowardly Lion. Can’t really put it into words, but I always empathized with him. maybe because I was picked on in school. Just launched a Kickstarter Campaign for Akaneiro. We’ve been working on Akaneiro since early 2011 and are nearing our scheduled completion date – looking to launch Open Beta in early January 2013. This campaign is intended to help support expansion on our current development – namely to bring things like tablet support, multiplayer and addition content and features to the game. If we manage to go beyond our initial goal, we’ll also add stretch goals for things like a Linux port. Any and all support you might lend would be helpful. Even if you cannot contribute financially, you can help us by spreading the word. The more people are aware the better the campaign will do.